While Connect Four is a nailed-on classic, you wouldn’t expect to see a Hello Kitty edition! But this is more than just a licensed version. You get a carry case — the entire game folds up for easy portability. So it’s a great choice for sleepover parties. 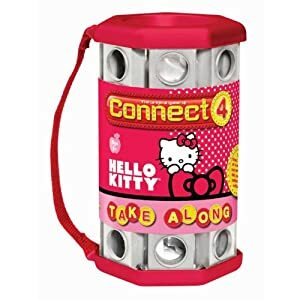 If you own Hello Kitty Connect Four Takealong, please rate it by clicking on the Comments link below the eBay listings.